Janis Joplin’s “History of the Universe” Porsche 356 sold for $1,760,000 in New York last week despite sporting a reconstructed paint job, but that’s a bargain compared to what famed racing champion Juan Manuel Fangio’s 1956 Ferrari 290 MM brought to the table. 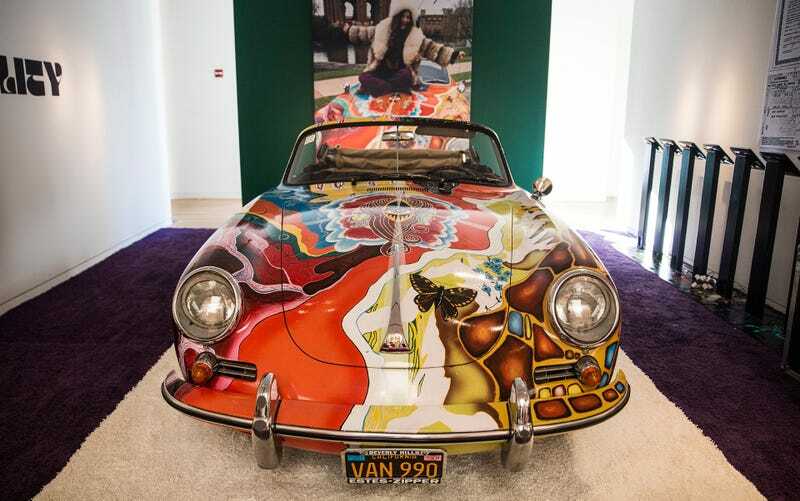 Is Janis Joplin’s &apos;History of the Universe&apos; Porsche 356 Worth Half A Million Dollars? Just look at those seats. Connolly or not, vintage Ferrari leather won’t get any cheaper, but in case it was cured by Fangio sweat from the 1956 Mille Miglia and remained attached to a Ferrari 290 MM by Scaglietti throughout all those years, the hammer won’t fall until they reach a whopping $28,050,000. What else did we learn from RM’s Driven by Disruption sales? That a Ferrari Enzo can be a $3.3 million car if it was owned by Floyd Mayweather, aka the worst car collector in America, and shows just 560 miles from new. That you can still buy a stunning DeTomaso Mangusta for $297,000, but an equally good looking 1973 Porsche 911 Carrera RS 2.7 Touring is a $918,500 car now. Hell, they even sold a regular 1975 Turbo for $330,000. RM sold a very nice Series 1 E-Type Roadster for less than that. That a pretty much brand new Lamborghini Miura SV sets you back by $2,420,000, but a Countach stays under the million line at $962,500. Maybe because it isn’t a QuattroValvole. That Ferrari Testarossa prices are climbing rapidly. $319,000 might seem steep for a 1991 car, but it’s still a V12 bargain compared to a $847,000 Daytona or a $770,000 Dino 206. And this right here is a 1962 Aston Martin DB4GT Zagato, otherwise known as a $14,300,000 entree ticket to Goodwood.